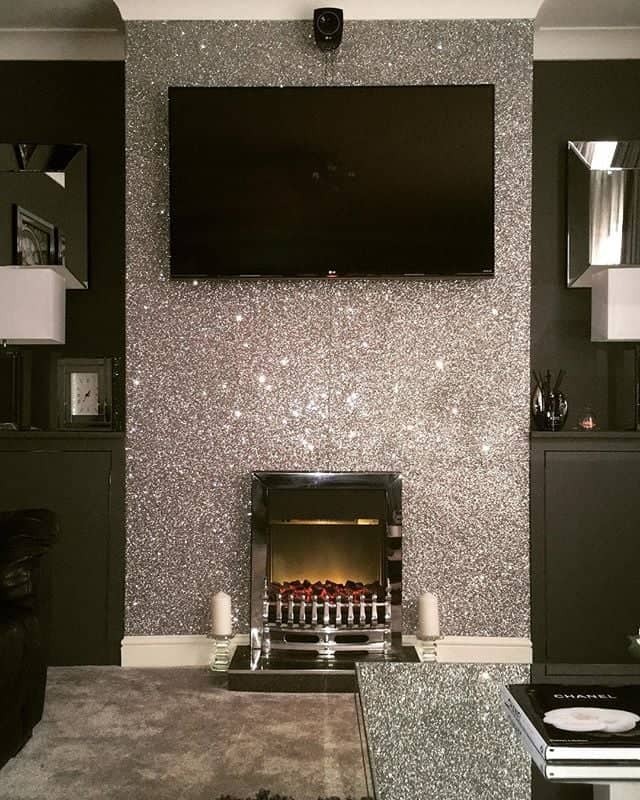 PopSugar showcased this stunning glitter accent wall and it sparked our interest immediately. And did you know you can get glitter paint? There are tons of DIYs you can follow and there are so many ways you can utilize the look to spruce up the house. 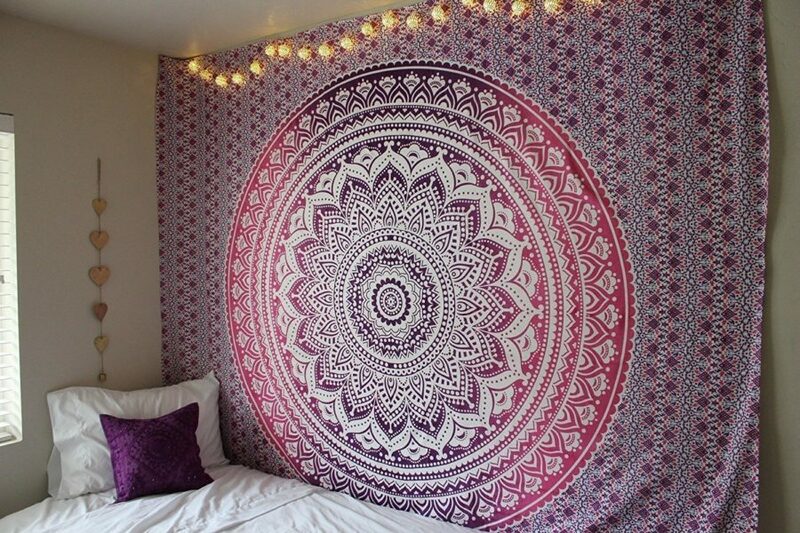 There are a lot of great tapestries you can find to cover a wall as well. 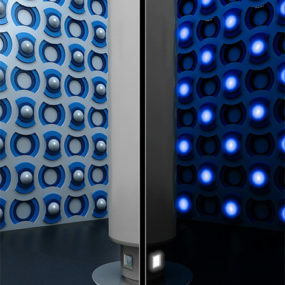 These can add color where you need it and also be used as a room divider. Check it out on Amazon. 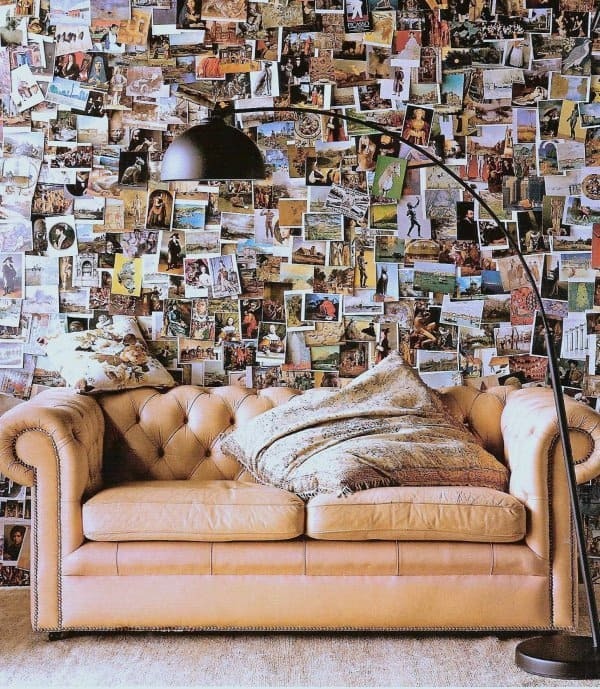 Pinterest had a lot of great ideas concerning different ways to cover your walls. 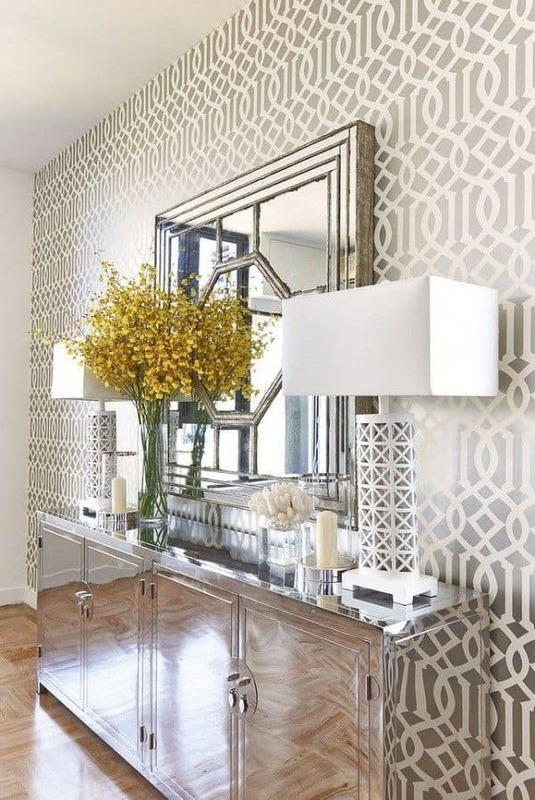 Trellis is a great pattern to go with in both glam spaces or more traditional, contemporary visions as well. This wallpaper is a versatile choice. Recycled wood could help you out as well. 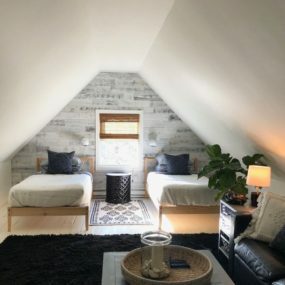 Create a really unique accent wall like you see on Homestetics within a weekend. 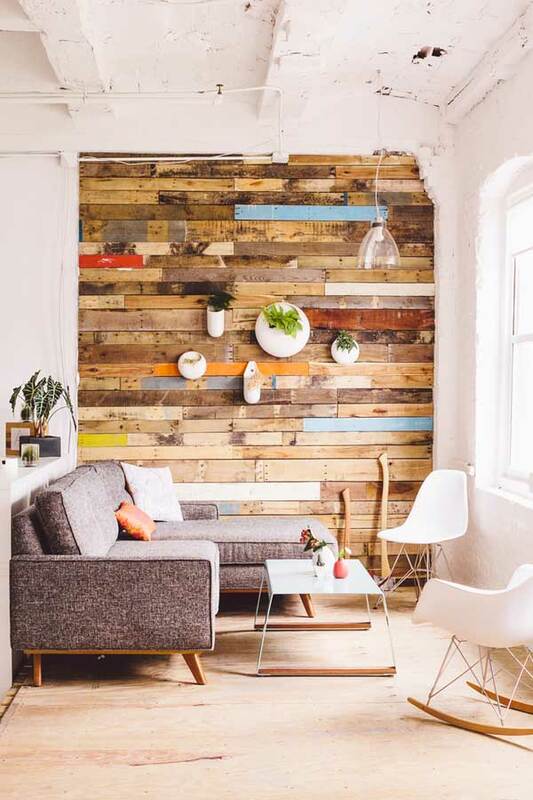 DIY it yourself and make a funky nook to enjoy in your home. 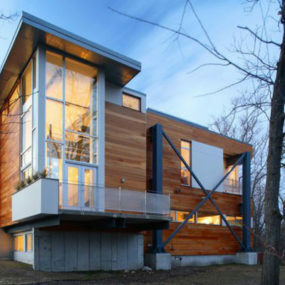 You could even board and batten your walls. 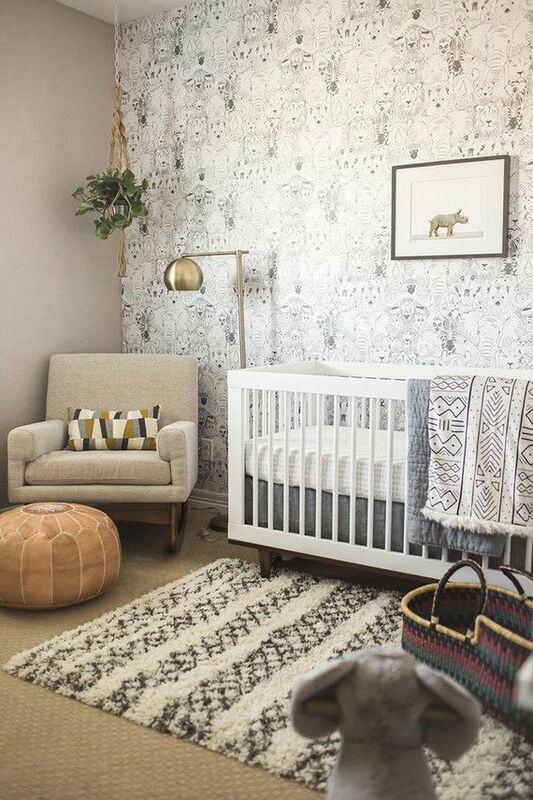 In the nursery or even in the living room could use the addition. Thankfully, at Happy Together you’ll be able to learn how to do it on your own. Check out this awesome wallpaper we found on Pinterest. It looks great in a nursery, giving it a unique charm. But we could see this beauty in a hallway or bedroom too! 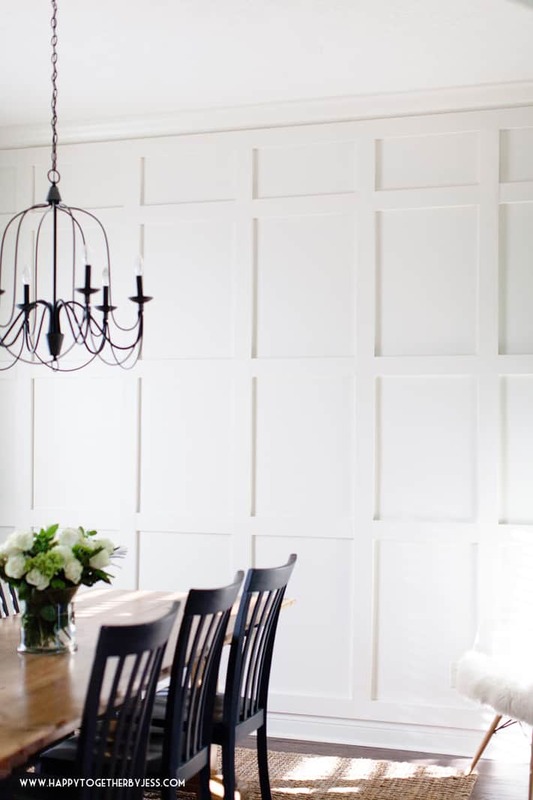 Decorative panels, as we’ve gushed before about here on Trendir, could do the trick as well. 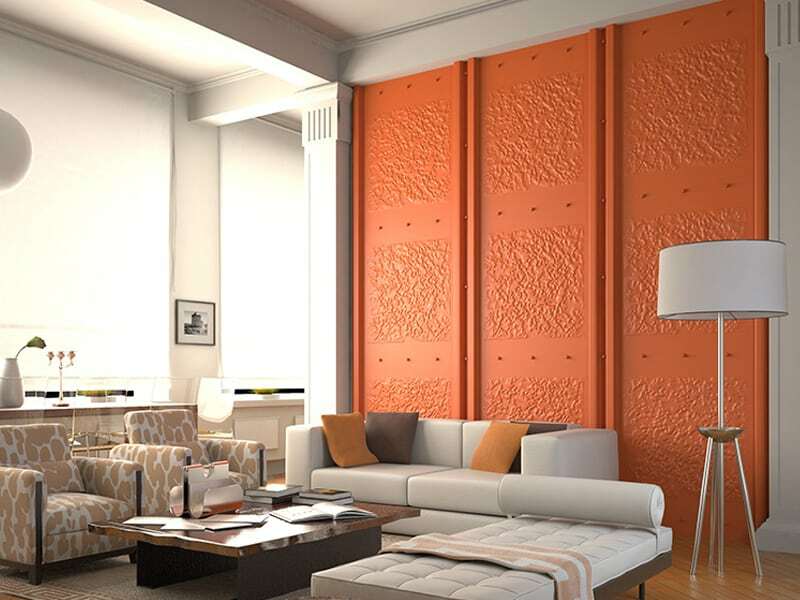 Add color, add texture, add richness to a space that needs it. A larger, spacious living would can handle it. 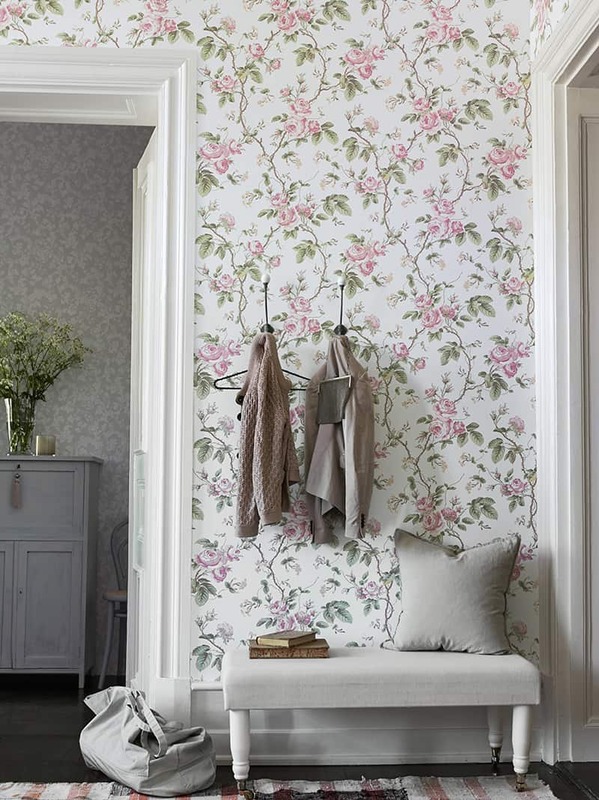 Sometimes just a bit of floral prints can brighten, lighten, and refresh a space. And that’s so evident with this peek from Good Housekeeping. 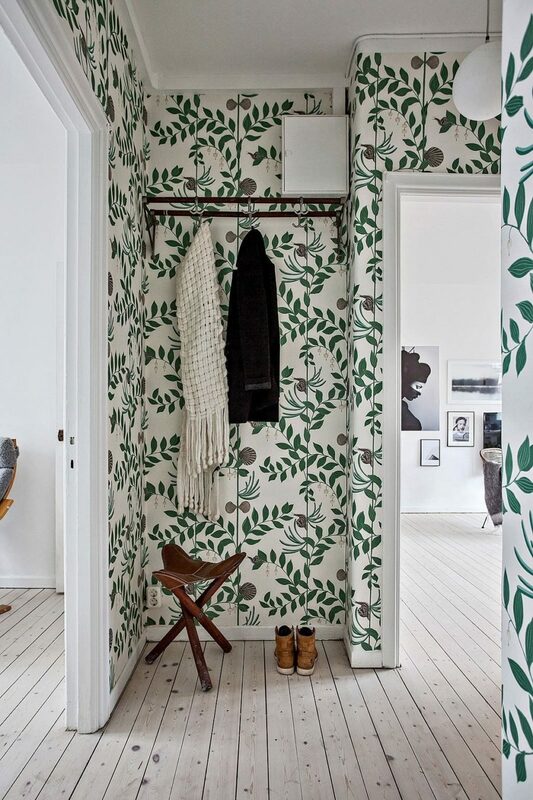 Your foyer or mudroom could use some pretty appeal in the form of new wallpaper. 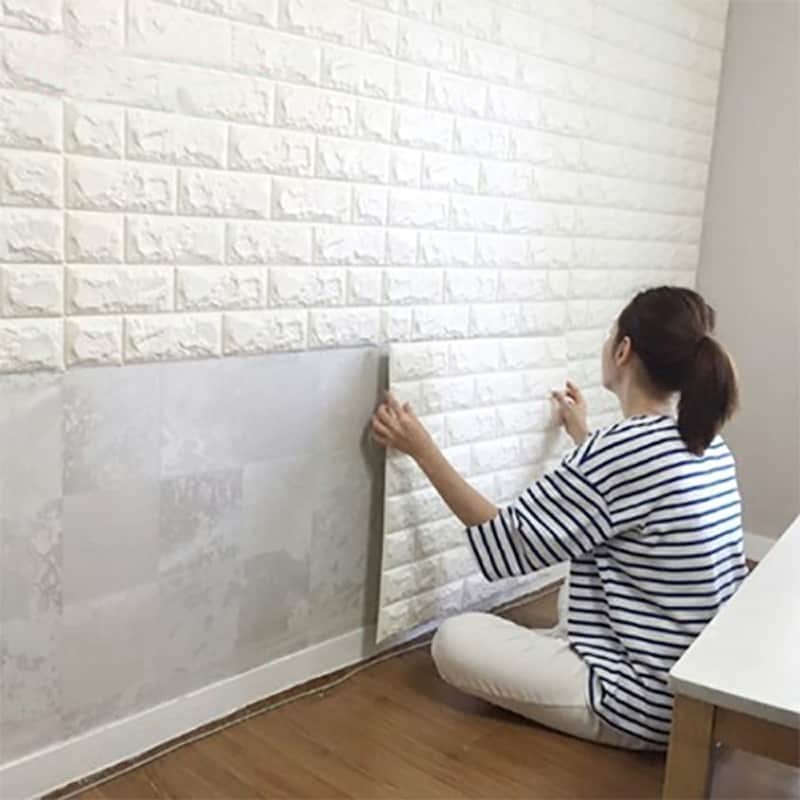 Pictures can cover a wall too, if you do it right. 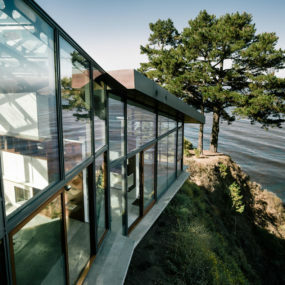 Just use this space that we snagged from Decoist as your inspiration. 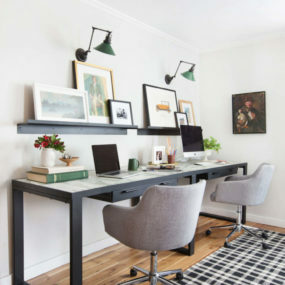 A dorm room wall or even inside your home office, the personalization would be gladly welcomed there. 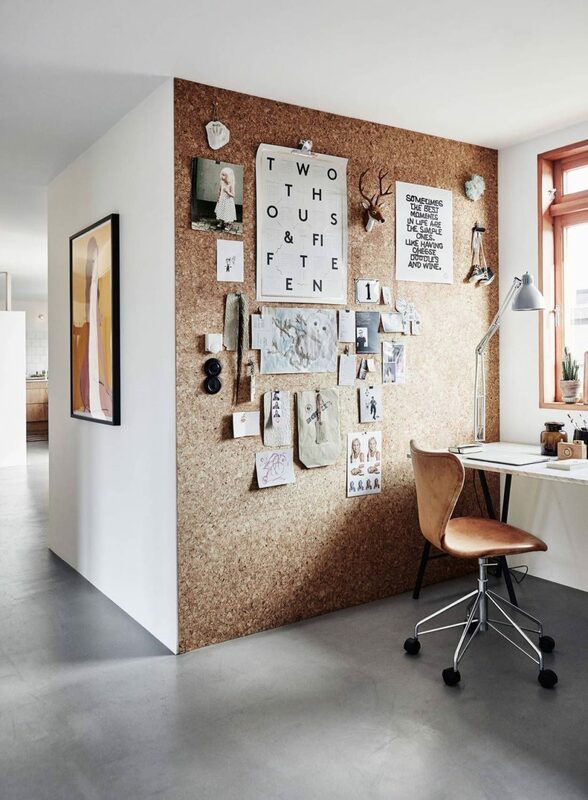 Glamour featured this ingenius cork wall on their site and we had to feature it here too. 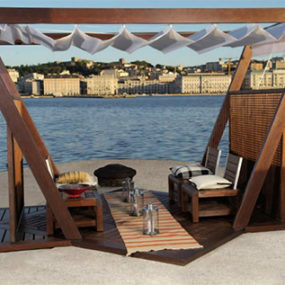 It’s unusual, it covers the wall, but it’s also a functioning piece that’s perfect for a kitchen nook or a home office. Take the leap and look into the details further. 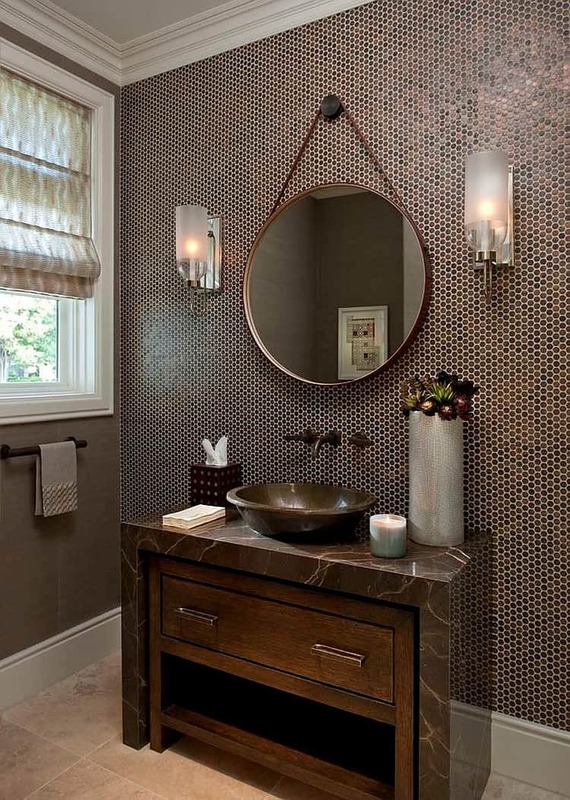 This penny-tiled wall is charming, unusual, and it creates a warm and inviting feeling as well. We found it with our friends on Homedit and it’s the perfect way to transform the guest bathroom into something brand new! You can do things in a cheaper, even more quick and DIYed sense with these peel and stick bricks from Walmart. There are so many different ways to utilize this feature and we’re in love with all of the versatility. 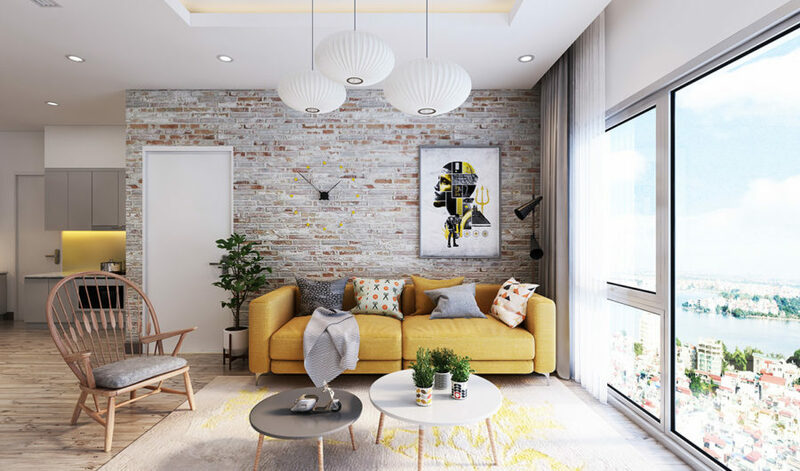 Interior Design Ideas showed us how to utlize an exposed brick wall into a home’s scheme. 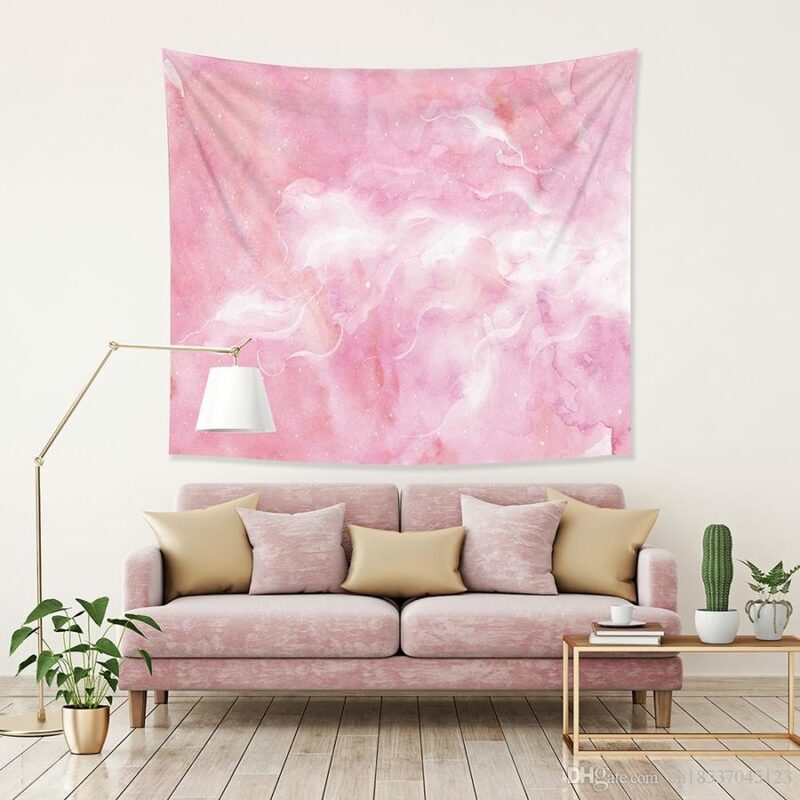 Now, sometimes your space will come with one of these beauties but other times you can make this a DIY project of your own. Go with the texture and leave the dullness with the birds. Pinterest gave us another beautiful wallpaper idea as well. This contemporary leafy pattern is perfect for a home that needs a breath of fresh air and an organic nature. It would go in a foyer or mudroom as well! 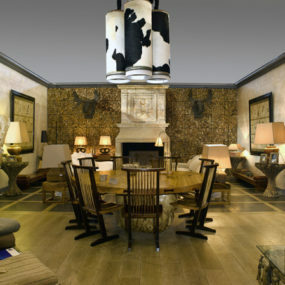 Finally, here’s another look at what a tapestry can do in the land of wall coverings. 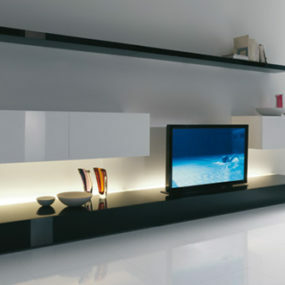 It can create a focal point and catch the eye. Check out more like this at Green Hugger.